We are excited to welcome in Mary Wagner who joins us for her debut RUN Spectrum along with a massive new collection of original artwork! Wagner says her latest body of work is about finding common ground with contrast and opposites. Read on as Wagner breaks down her latest works and tells us the story behind these hypnotic works. . . This RUN is signed by Mary Wagner and includes an Original Artwork Letter of Provenance from 1xRUN. ABOUT THE ARTIST: At the quantum level, Mary Wagner’s drawings are simple, fluid, curvilinear paths arching around some absent center like an interstellar object flirting about a gravity well. The lines warm and complicate through repetition. Patterns pile on top of each other. The slim edge of the pen takes on form and depth like cotton candy wisps or subatomic particles. Value and texture suggest dimension and movement. These things coax and combine into a sort of "non-subject" or subjective subject matter... inviting viewers to project themselves. They are exercises in minimal purity, or expressions of chaos and order. They are complicated networks or psychedelic dreamscapes. 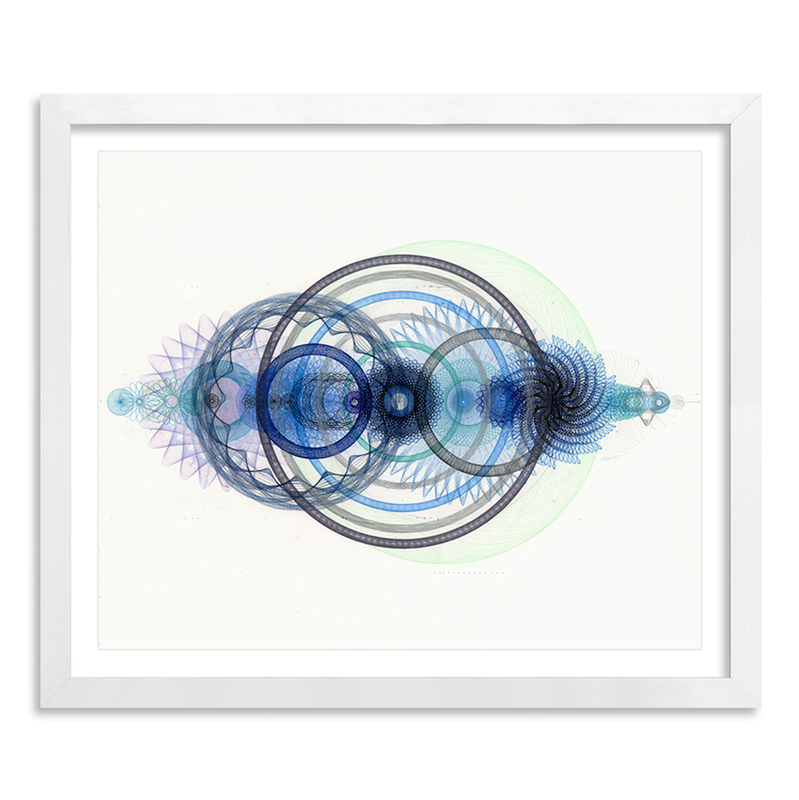 Both pretty eye candy and quasi-sciencey, mathiness. 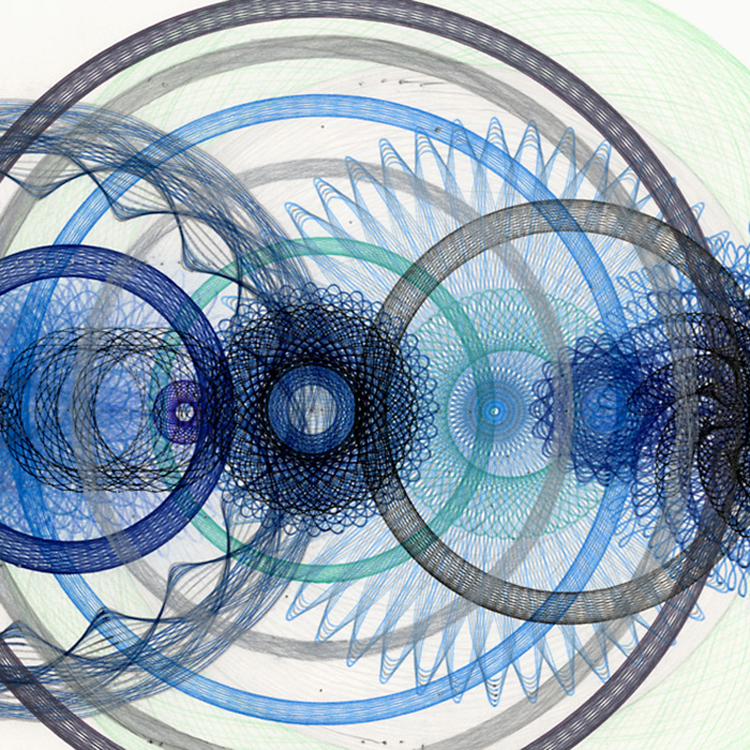 Wagner's drawings are mediated by machines she herself makes. Relatively simple machines... more akin to the inclined plane or the lever-and-fulcrum than to the personal digital computer. The meshing teeth of gears guide her pen, wheels inside of wheels. Spinning. In our universe everything spins. From the mundane circling of water exiting a drain, to the majestic revolution of our spiraling galaxy, to the minute play of positives and negatives at the core of matter itself. In this way Wagner’s drawing emulate and replicate the mechanics of the universe. Everything revolves around a something which is a nothing.